The good news is that the SD-WAN Revolution is extremely strong because at least a portion of the claims above ARE actually TRUE for most customers! The interesting trend to watch will be the continued consolidation within this sector, like with the Cisco-Viptela announcement last month and the increasing financial constraints of some providers which will both lead to a narrowing of the playing field a bit over the next year. The challenge is figuring out who is being straightforward, who you should evaluate for your particular business, what the differences are between each of the finalists AND what impact will they have on your business? How would moving away from a large carrier benefit or challenge your department? Do contracting issues or existing policies require you to stay with MPLS? 1. Pure Play SD-WAN Providers – these enable customers to aggregate networks (primarily to save money) and give them the freedom to connect each site with a variety of options (MPLS, Broadband, DIA-Ethernet, even LTE). 2. Carrier Partnered Providers – these companies are primarily distributing their solutions through one (or more) of the large carriers and/or cable providers. The large ISP’s partner to maintain market share, improve performance and accelerate innovation – not necessarily to improve the total cost of networks. 3. Network as a Service SD-WAN Providers – these companies build out global networks in one form or another between POP’s and connect sites to their Points of Presence. Being able to solve for global latency can be a real plus for companies who utilize these solutions. All companies have either a Network Partnered or Channel Partnered Model. Meaning, like when you last acquired Cisco routers, you will want to find a Solution Provider or VAR who can help you navigate the Design, Provider Selection Process, POC’s, Contracts, Implementation, Management and Billing components of your new network enhancement solution. 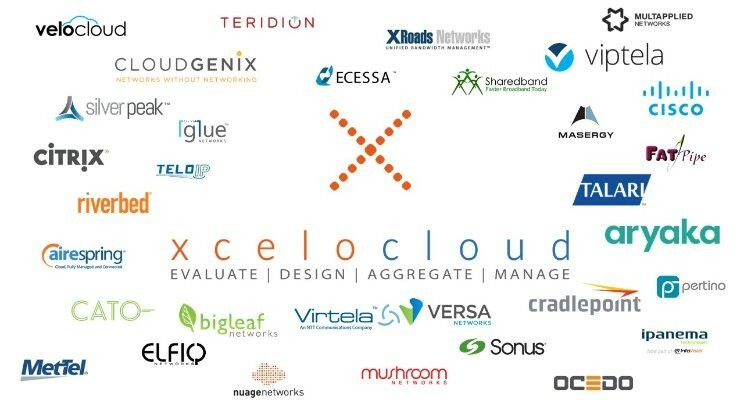 Ones, like Xcelocloud, who specialize in SD-WAN may be worth considering vs. Solution Providers steeped in router, access points, and VoIP equipment sales. In summary: SD-WAN is absolutely growing toward a $6B to $9B market over the next 24-36 months. While this space is crowded, the opportunity exists for IT decision-makers to accelerate their team’s knowledge, decision-making process and implementation execution by asking the right questions up front and selecting the right partner to navigate the SD-WAN waters! 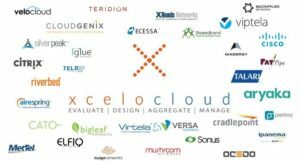 AUTHOR: Mike Champion, Founder and CEO of Xcelocloud Inc.
ABOUT XCELOCLOUD: Xcelocloud Inc. is a national Solution Provider focused primarily on next-generation networks and application performance worldwide. Xcelocloud enables enterprise customers to evaluate WAN/SD-WAN architecture options at ANY point in their current contract, design impactful POCs and technology migrations, acquire or aggregate network connectivity and manage their networks with outstanding visibility!